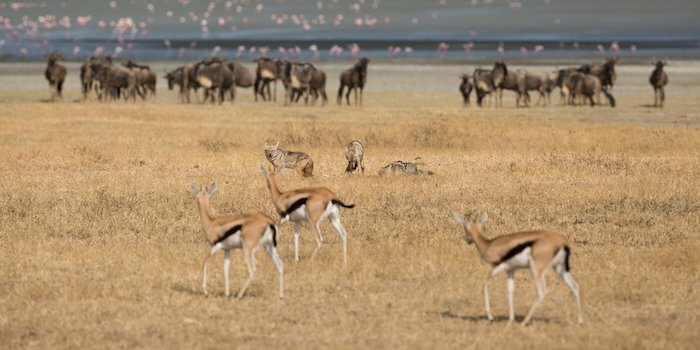 The Ngorongoro Crater is one of the most spectacular natural wonders of the world, and it is an incredibly diverse ecosystem which means that it is absolutely teeming with wildlife. You can find over 30 000 animals in the crater which should make this destination one for your bucket-list. Because the crater is overflowing with wildlife, Ngorongoro is the absolute best place to be for Big Five viewing. 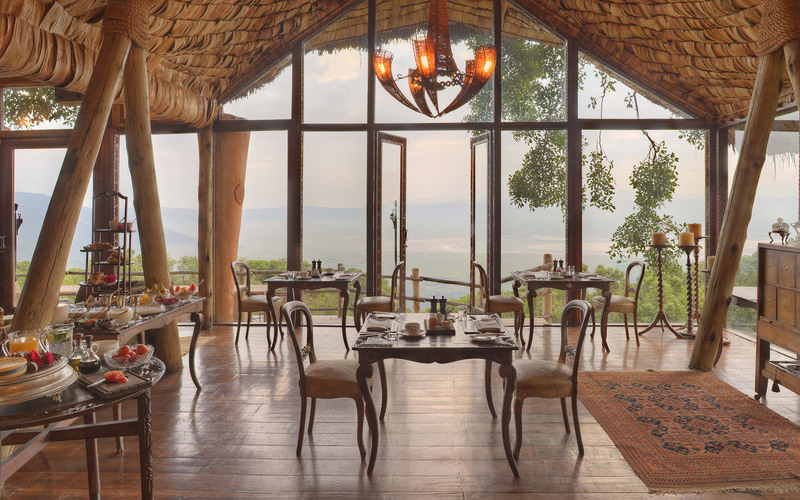 Not only is the Ngorongoro a safari-lover’s dream come true, it is also home to some of the most exquisite luxury accommodation in the world. Nogorongoro also offers some of the most magnificent views in Africa. So, when is the best time to visit the crater? Well, it really depends on you and what you’re looking to gain from the experience. The things that you need to consider are seasonal climate changes, migration, and breeding patterns. But, never fear, each season has something special to offer which guarantees you an adventure of a lifetime. Just remember, the crater is abundant with wildlife so you will be able to see animals all year round. In November to December, the weather is quite hot and humid from the short rains that the crater experiences. Of course, hot and humid weather means that mosquitoes are quite rampant so you will have to take anti-mosquito precautions. From January until February, there is a vast number of new born wildebeest calves which is really something quite spectacular to behold. March until May is the rainy season at the Ngorongoro Crater—this means that the plains are verdant and lush, and this is the best time to visit the crater if you enjoy visiting places out of season. However, it also means that it is more difficult to manoeuvre vehicles. Accommodation is cheaper and there are fewer people to contend with. This time of year is certainly a bird-watcher’s paradise. June until October is the dry season. It’s also the peak season because it is easier to spot game in the dry season, and animals can be found gathered at watering holes. People like to visit the crater at this time of year because of the large likelihood of encountering the Big 5 (sometimes visitors even manage to spot all of the Big 5 in one day!). The weather from June until August can be a bit chilly, but because the crater is near the crater, a light jacket is all you’ll really need. 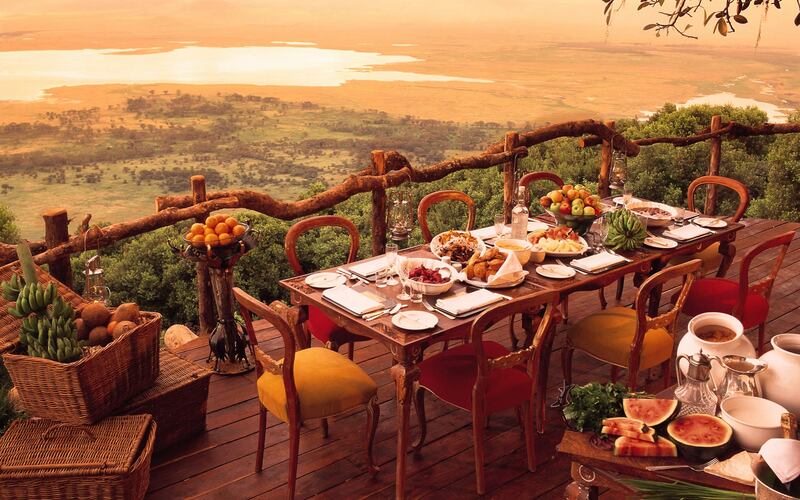 If you’re looking for luxury accommodation at the Ngorongoro Crater, look no further because Iconic Africa has you covered. You can have a look at what we have to offer here.